Pitt football fans accustomed to constant coaching changes can welcome a possible step away from the norm: a head coach staying long-term. 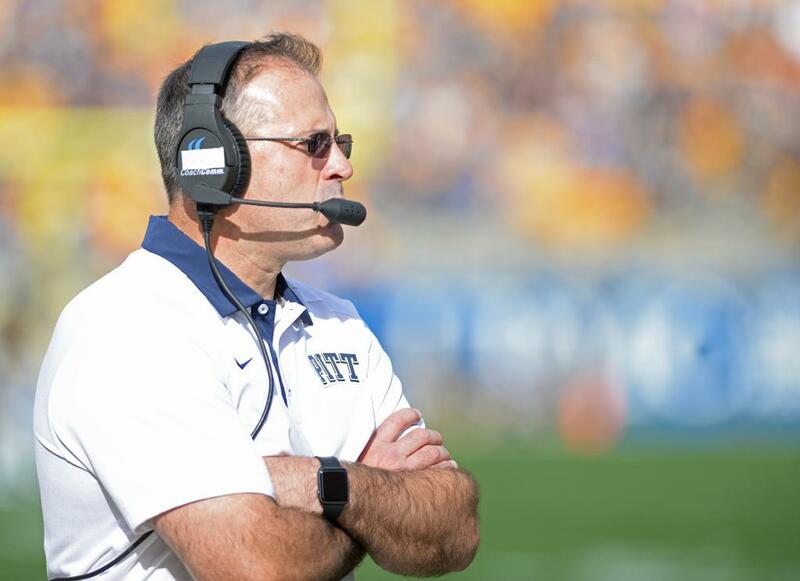 After completing his first regular season with an 8-4 record as Pitt’s head football coach, Pat Narduzzi has agreed to a contract extension through the 2021 season, the school announced Thursday. “My family and I plan to make Pittsburgh our home for a very long time, and we’re glad the leadership at Pitt feels the same way,” Narduzzi said in a release. The coach’s original contract was for five years, and the new agreement will extend his time to seven years. Barnes came to Pitt after the school hired Narduzzi, but both said their relationship has grown since they first met. “We’re excited about what our student-athletes can continue to achieve — on the field, in the classroom and in the community — under Pat’s long-term leadership,” Barnes said. Narduzzi’s contract only applies to the head coach, but he did acknowledge that his assistants may have received contact from other schools. Still, Narduzzi said he is confident they will stay with the Panthers as well. Pitt’s 2015 campaign was its winningest regular season in six years, and the Panthers finished second in the ACC Coastal division with a 6-2 record. The Panthers have one more game this calendar year, when they face No. 21 Navy on Dec. 28 in the Military Bowl in Annapolis, Maryland. “It is an honor to serve as Pitt’s head football coach, and I’m continuously energized by what we can, and will, accomplish here,” Narduzzi said.